I stayed in the campsites at Disney’s Fort Wilderness Resort & Campground this past February to get the full camping at Disney World experience and I had a blast. Fort Wilderness is the most affordable way to stay on-property at Disney World so I don’t know what took me so long! Here’s what to expect when you camp at Fort Wilderness plus some tips and tricks for having a great stay! Fort Wilderness is one of the three original resorts at Walt Disney World (the others are the Contemporary and the Polynesian). The resort consists of 799 campsites and 409 cabins on a huge 700-acre wooded plot. Fort Wilderness is wonderfully “un-developed” when compared to the rest of the Orlando area! At each campsite, you’ll find a paved driveway, picnic table, charcoal grill, electricity, and water. Full-Hook-Up, Preferred, and Premium Campsites also have sewer hook-ups. Fort Wilderness also has four restaurants, two pools, playgrounds, two dinner shows, and recreation galore! As you can probably tell from this map, Fort Wilderness is huge. It consists of 28 loops with campsites and Wilderness Cabins, a check-in building, multiple pools, three restaurants, and many other amenities. It is over a mile from the Check-In building to the other end of the campground. Several internal buses connect the different areas at Fort Wilderness so it is easy to get around. Each tent site at Fort Wilderness includes a tent pad, grill, electric hook-up, picnic table, and a hose for water. Wifi is available for free throughout the campground as well! Here is a view of my campsite from the road. The driveway area has plenty of rooms for a car, pop-up camper, and a golf cart. The sandy tent area could accommodate two small tents (less then 4-person tents) or one large tent. You can have up to 10 people in each campsite at Fort Wilderness! While you will pay up to $24 per night for parking at other Disney resorts, you can park one vehicle for free at the campsites at Fort Wilderness. This is another money-saving benefit of tent camping at Fort Wilderness. This was the area directly behind my campsite. Remember to stay away from all waterways at Disney World due to wildlife such as gators. There were some trees for privacy on both sides of my campsite as well. I didn’t take a picture of one, but there is a “comfort station” found in each campground loop. This is where you will find the restrooms, sinks, and showers. The showers in the comfort station were excellent – probably the nicest you’ll experience at any campground anywhere! The best loops for tent camping at Fort Wilderness are loops 1500 and 2000. Campsites in these two loops are in the “Tent or Pop-Up Campsites” category. You will be able to choose the campsite category when making a reservation with Disney. While those tent camping at Fort Wilderness can stay in other categories of campsites (such as Full Hook-up or Preferred sites), you will not have a sandy tent pad in these types of sites. They will have a concrete pad and you likely won’t be able to stake down your tent here. The rates for tent camping at Fort Wilderness range from $55/night to $133/night in 2019. This is a huge range in prices so I suggest planning your travel dates carefully! Here are some sample rates for Tent or Pop-Up sites (excluding tax) during different times of year in 2019 to give you an idea of what tent camping in Fort Wilderness costs. 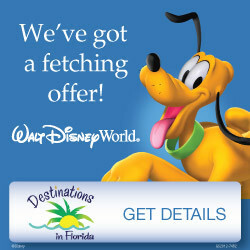 For rates for specific dates, I suggest getting a free quote from the expert Disney travel agents at Destinations in Florida. There is no cost for their service and they can help you find the best rates for your travel dates! If you aren’t up for tent camping at Fort Wilderness, another option is to rent an RV for your stay! You might be thinking “How in the world would I get an RV to Fort Wilderness and get it set up?” Fear not – there are companies that deliver the RV for you to your site and get it all ready for you. It’s almost like showing up at your hotel room, but it is just in the form of an RV. I recommend renting an RV through RVshare, a popular and reputable site that connects owners with renters. It is like the Airbnb for RVs! Many owners will deliver the RV to your site at Fort Wilderness for FREE with a minimum stay booked through RVshare. For example, you can book this pop-up camper that sleeps five with free delivery and setup at For Wilderness through RVshare. Renting an RV is a great way to save money on your Disney World trip. You’ll get to sleep in comfort (most RVs have air conditioning), stay on Disney property with all of the Disney benefits, and get access to the amazing recreation and amenities at Fort Wilderness! Also, renting a large RV with a living room through RVshare can be a HUGE money-saver compared to booking multiple rooms at a Disney resort. Campsites can have up to 10 people so two families can easily share a site and a large RV – some sleep up to 10! My campsite was a short walk from the “feature” pool at Fort Wilderness, the Meadow Pool. It has a fun water play area for kids with a playground, water features, and these two little slides. It also has a waterslide and large hot tub. All of the other “Value” resorts at Disney World do NOT have water play areas, water slides, or hot tubs. Have access to this pool is a huge perk of staying in the campgrounds at Fort Wilderness! There is a quick service dining location right next to the Meadow Pool. I grabbed some nachos here for lunch that were really good. I was able to get refills on my refillable mug here, too. There is another smaller pool located in the loops with the Wilderness Cabins (between the 2500 and 2700 loops). I didn’t check it out but I imagine it is quieter than the Meadow Pool. Many people’s first visit to Fort Wilderness is to experience the famous Hoop Dee Do Revue dinner show. It is a favorite of many guests and is found at the back of Fort Wilderness in Pioneer Hall. Connected to Pioneer Hall is a dining hidden gem, Trail’s End. This is a buffet restaurant that serves some of the same food as Hoop De Doo but as a significant discount. It is the most affordable buffet on Disney World property and serves up delicious food for breakfast (til noon) and dinner. Check out the menu and current prices here. You can even get quick service fare from Trail’s End at PJ’s Southern Takeout right next door. This is where I was able to get my refillable mug to use on the dining plan. Crockett’s Tavern is a walk-up window right next to Trail’s End where you can order drinks and enjoy them on the porch. The final dining experience at Fort Wilderness is Mickey’s Backyard BBQ. You can get more info on the show here! There is so much to do at Fort Wilderness, you could spend your entire vacation there and not even go to the theme parks! I was really excited about seeing Cinderella’s ponies that live at the Tri-Circle D Ranch near Pioneer Hall. Aren’t they adorable? All of the other horses that work around Walt Disney World live at the ranch as well. You can walk through the horse barn and learn about each horse. There is a small exhibit and Walt Disney and horses that is nice for fellow horse lovers. At the Tri-Circle D Ranch you can pay for pony rides for little ones who are over 2 years old, under 48 inches, and under 80 pounds. Pony rides are available from 10:00 am to 5:00 pm every day and cost $8. Carriage rides around Fort Wilderness cost $55 and carriages can hold up to 4 adults (or 2 adults and 3 kids). They last 25 minutes and start outside of Crockett’s Tavern. Trail rides leave from the horse barn close to the entrance to Fort Wilderness. They are 45 minutes long, for guests ages 9 and up, and cost $55. You can make reservations by calling 800-WDW-PLAY. Archery, bike rentals, and canoeing are some of the other recreational activities available at Fort Wilderness. Ask for recreation info when you check-in for all of the details! There is an internal bus system at Fort Wilderness due to its size. It might seem complicated at first but is easy to use once you get the hang of it. The internal buses can take you to the Outpost at the front of the resort to catch buses to Epcot, Hollywood Studios, Animal Kingdom, and Disney Springs. The internal buses can also take you to the Settlement Depot. A short walk away are the docks with boat service to Magic Kingdom on the green flag boats. Other boats run among Fort Wilderness, Wilderness Lodge, and the Contemporary Resort. I used Disney transportation entirely on my trip and never felt disappointed. Buses came quickly and I was able to get everywhere I needed to go! What Disney Benefits Do I Get When I Stay at Fort Wilderness? And everything else that normally comes along with a Disney World resort hotel stay. I was able to add a dining plan and a park ticket to my one-night stay at Fort Wilderness and even used my refillable mug during my stay! I think that loop 1500 is a much better location than loop 2000 for tent camping. I stayed in loop 1500 and was a 5-minute walk from the main Meadow Pool, quick service dining location and store! This loop is also smaller and all sites are a quick walk to the restrooms. You can add a request to your reservation at Fort Wilderness Resorts & Campground by calling Disney at 407-W-DISNEY. I requested to have a site in loop 1500 and my request was granted. You can read more about making room (or campsite) requests in this post! Another option for staying at Fort Wilderness at the Wilderness Cabins which start at around $300/night. I haven’t stayed in one but talked with several guests who were enjoying their stay in the cabins. You can get more info on the Wilderness Cabins here. There is a nightly campfire with free marshmallow roasting in the Meadow area. Chip & Dale make an appearance at the event and lead a sing-a-long! Get the time for this when you check-in (seasonally). When I visited in February the campfire was at 6:30 pm. After the campfire there is a “Movie Under The Stars” shown every night. You will need to bring your own towels to the pool at Fort Wilderness, unlike other Disney resorts where they are provided. Don’t forget mosquito repellent for your stay! You can see the Electric Water Pageant from the beach at Fort Wilderness. It goes by around 9:45 each night. Be sure to bring an outdoor extension cord to charge your devices inside your tent. I brought one and was so glad I did. It will likely rain during your stay so be sure to have a tent with a rain fly that extends down to the ground. The sandy material in the tent pads WILL get into your tent. Bring along a small dustpan and brush to keep your tent clean. You can use the Magical Express luggage delivery even if you are staying in a campsite. Just call the number provided at check-in once you are in your site and it has been at least 5 hours after your plane has arrived A van will deliver your bags to your campsite! I hope this post answered all of your questions about camping at Disney’s Fort Wilderness! Please leave any questions you still have in a comment below or join the discussion in The Budget Mouse private Facebook group! 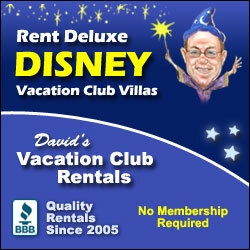 How To Use David’s DVC Rental To Save Thousands On Your Disney World Vacation! Pop Century Refurbished Rooms: Review & Photo Tour! 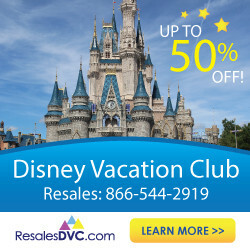 DVC Villas That Are The Best Deals!